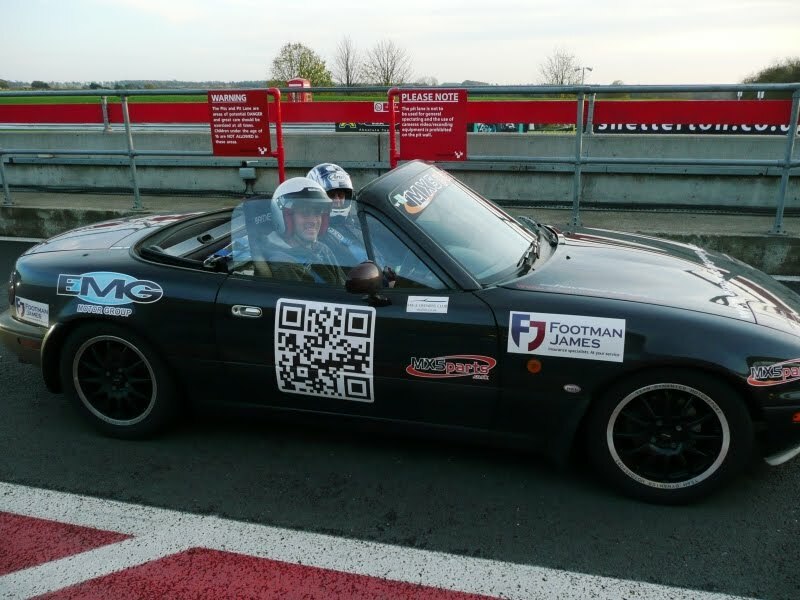 With its new QR code door graphic supplied by Solar Graphics, Team Merlot once again returned to local venue Snetterton for a track day on the fantastic 300 circuit. Although not a first for the Merlot brand, a first for the new car Merlot Black. The car behaved faultlessly throughout the day and along side regular drivers Jon and Robbie, can now add another name to it's list of guest drivers. Eastern Region member Paul Sutton, a track day virgin up until the MX-5 Owners Club's National Rally in September took to the wheel for his second track day experience in Merlot Black. New Owners Club member Peter McNicol, came along for the day too, got himself a passenger wrist band and enjoyed many passenger laps in the car, convincing him to get his name on the list for a place in the hot seat in the future. Barr-Tech in Cambridge have in the past carried out various bodywork tasks on Robbie's own Roadster and kindly offered to repair the rusted sill on Merlot Black. As you can see form the before and after photos Barr-Tech have done a fantastic job. Cutting out the rust, plating the sills then using lead filler for durability rather than conventional body filler. Both sills were then primed, painted and cavity waxed.